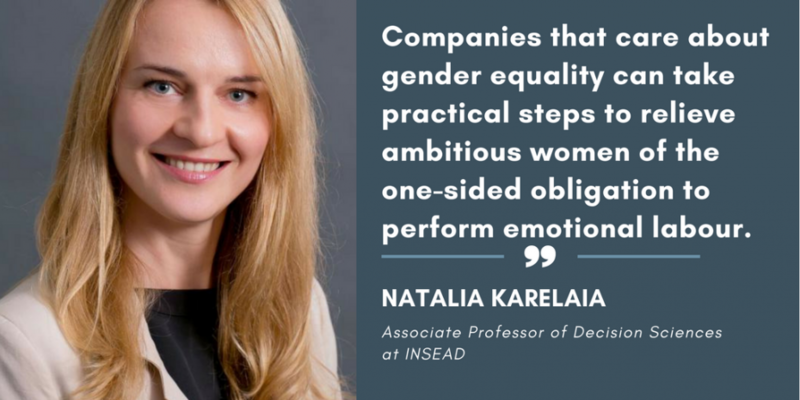 Natalia Karelaia is an Associate Professor of Decision Sciences at INSEAD where she teaches Negotiations and Managerial Decision Making. 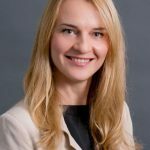 Before joining the faculty at INSEAD, she was an Assistant Professor at Université de Lausanne, Switzerland. She received her PhD in Management from Universitat Pompeu Fabra, Barcelona, Spain, and was a visiting scholar at the Program on Negotiation at Harvard University. Aspiring women leaders are commonly told that their key to success in male-dominated environments is self-confidence. Men have it; women don’t—which accounts for the size and stubbornness of the gender leadership gap. In the academic literature, too, study after study has found a direct link between self-confidence and influence over others. If talented people with high self-esteem naturally attract more followers than those whose valid contributions are stifled by self-doubt, then more women could become leaders simply by believing in themselves. But if it were that easy for women to get what they deserve, would we still be talking about it? In fact, confidence is not so straightforward. It is in the eye of the beholder. Our colleagues can’t read our thoughts (fortunately for us). They don’t know how we really feel about ourselves and our abilities. What matters is being perceived as self-confident. And this subjective element opens the door to bias, as I describe in a new study co-authored by Laura Guillén of ESMT Berlin and Margarita Mayo of IE Business School. The study revealed that men and women have sharply divergent routes for converting self-confidence into organisational influence. The path available to women is far more complex, winding through cultural stereotypes that have everything to do with gender. Going into our study, we had several hypotheses. Since there is no objective way to judge others’ self-confidence, people tend to use proxies, one of which is performance. When we see someone who gets results, we are likely to project onto that person the entire leadership package: self-confidence as well as ambition, status, charisma, etc. But the imagined leadership attributes we associate with high performers are highly contextual. In male-dominated environments, the mantle of leadership will seem to settle more easily on the shoulders of men, because that’s what is already familiar—and hence expected—within that context. We hypothesised that in environments with very few women in leadership roles, high-performing women cannot rely solely on self-confidence to propel them up the ranks. Because gender stereotypes guide people’s behaviour and judgement in a rather automatic manner, women are likely to be expected to demonstrate further qualities, in accordance with comforting stereotypes of womanhood. In particular, we expected that being a good organisational citizen, being prosocial, and demonstrating care for the welfare of the organisation and peers are likely to be additional, implicit but “obligatory” requirements for women to achieve influence. We collected the data from 236 highly skilled computer engineers working at a multinational software development company. First, we had them rate each other’s job performance. They were also asked to self-assess their “prosocial orientation”, i.e. their level of concern for others’ welfare at work. One year later, we asked their supervisors to rate their self-confidence and organisational influence. In line with norms in this heavily male industry, only 23 percent of the engineers and five percent of the supervisors were women. For the male majority, there were clear-cut, direct correlations between the performance evaluations, perceived self-confidence and organisational influence. We could trace in the data the process by which high performers were identified as future leaders. For the women, things made less overt sense. The correlation between job performance and perceived self-confidence was there, much as it was for the men. But the final step—gaining organisational influence—was missing in many cases. You had some high-performing women apparently brimming with self-belief—yet who, their supervisors said, wielded little to no influence, unlike their male counterparts. However, when we factored in prosocial orientation—an area where women are stereotypically proficient—a pattern emerged. Women who displayed more nurturing behaviour were able to parlay high performance into organisational influence. Women who shunned the nurturing stereotype were denied influence, no matter how great their performance. Sadly, women in historically masculine professions are not yet judged by gender-neutral standards (e.g. performance, self-confidence). Often, their excellence will be recognised only after they appease gender stereotypes. For these women, at least, “Believe in yourself” is advice that addresses only one facet of the challenge they face – and is thus insufficient. Companies that care about gender equality can take practical steps to relieve ambitious women of the one-sided obligation to perform emotional labour. First, be explicit about the organisational requirements for success and advancement. If being a good organisational citizen and helping others is a requirement, it should be so for men and women equally. If it is deemed a “nice-to-have” rather than a “must-have”, women should not be unduly penalised for not exhibiting it. Selection criteria for job candidates should be equally explicit and transparent. Second, be willing to question assumptions of meritocracy. A growing body of research shows that professionally ambitious women must run a gauntlet of double standards to advance their careers. They are not accepted as leaders on their merits alone. True, men too have to work hard and prove they can perform. However, they almost never have to prove that they belong.